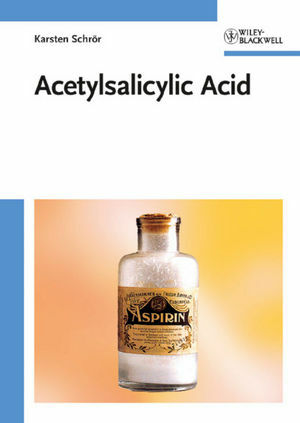 Written by a leading expert on Aspirin-related research, this is the first comprehensive treaty of the history, pharmacological effects and clinical applications of one of the most successful drugs ever. The text is written with a wide audience in mind and to be readily understandable for clinicians as well as biomedical researchers and pharmacologists alike. The content is up to date and includes the latest results of clinical and academic research, with a balanced view on the disputed properties of this famous drug. Karsten Schrör is Professor and Chairman of the Department of Pharmacology and Clinical Pharmacology at the Heinrich-Heine-University in Düsseldorf, Germany. He obtained his M.D. at Martin-Luther-University Halle-Wittenberg (Germany) and carried out postdoctoral studies at the Universities of Halle, Mainz, Köln, the Jefferson Medical College, Philadelphia (USA) and the Wellcome Research Laboratories in Beckenham (UK). He held guest professorships at the Medical University of South Carolina at Charleston (USA) and the Department of Internal Medicine, Division of Hematology, University of Texas Medical Center, Houston (USA). Karsten Schrör is member of the German National Academy of Science (Leopoldina) and President of the German Society for Pharmacology. He has published extensively in the area of aspirin and prostaglandin research with focus on platelet function and the clotting system and serves on several national and international review panels and advisory committees on thrombosis research and drug development.